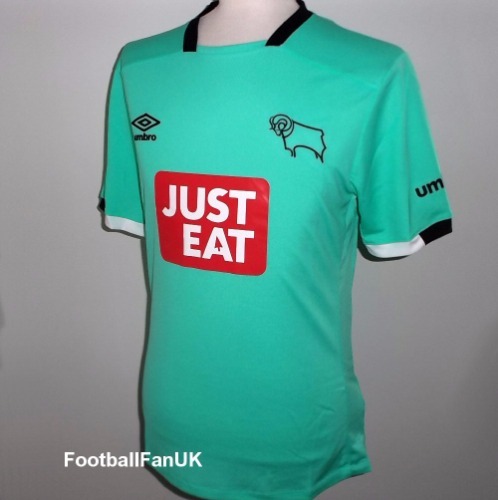 This is the third football shirt, of Derby County FC, for the 2016/17 season. It is an official Umbro football shirt, and is brand new with tags in Umbro packaging. - Mint green with black trim.